You are here: Home / Visit the SfL! 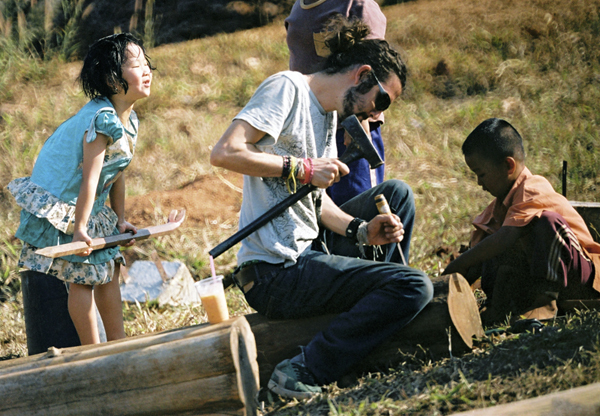 Volunteering at the School for Life in Chiang Mai is a unique way to combine travel with a purpose and learn to live in a culture a world away from your own. There may be a bit of a culture shock to begin with – the life at the School is very different from your life at home. However, don’t worry, with the support of our local staff and fuelled by the children’s infectious enthusiasm you’ll quickly find yourself feeling comfortable and ready to really throw yourself into your project and give it 100%! The main thing is just to embrace the challenges and experiences. Enjoy every moment of your time, work hard, contribute to your placement enthusiastically and passionately and you will find that you’ll come back feeling like you have helped as much as you can, with a new perspective, new friends, a second home and amazing stories to share with friends and family! We are committed to ensuring that both children and adults at the Schools for Life benefit from your work as a volunteer. Therefore, we emphasise a careful selection process and maintain communication with you throughout the preparation process. On site, a reliable contact person will be available for you at all times. For your own protection as well as the protection of the children there are a few formalities and pre-requisites to address before we can accept your application as a volunteer. Please do not let those – unfortunately necessary – “bureaucratic hurdles” distract you from your objective to join us as a volunteer. You are required to work at the School for Life Chiang Mai for the full agreed term. Durations and fees are explained below. • You are at 18 years or older and have completed secondary school. • Your skill sets and/or profession fit well with our project. • You have a good command of the English language; if you also speak German or Thai, even better. • You have special skills that may be beneficial for the children i.e. in arts, drama, music, counselling, nursing, sports, etc. • You have cross-cultural experience and competency. • You can handle difficult interpersonal or organisational situations. • You can share the responsibility in educating children, especially teaching English [German would be a bonus]. • You may start an extracurricular group activity based on your special skills and expertise that matches the School for Life’s needs. • You will participate in our existing projects such as the Youth Camp. • You will share children’s daily activities and assisting other adults in their care for the children i.e. cooking, exercise, gardening, attending meetings, general organisational tasks etc. You will gain valuable experiences by helping children in their pursue of happiness, providing them with high quality education, and supporting them in breaking through the cycle of poverty. You will learn from the experiences of children who have regained their will to live despite their unfortunate past. Their ability to laugh and their warm friendliness will not leave you unaffected. Upon completion of your volunteer work you will receive a certificate of commendation from the School for Life Chiang Mai. The School for Life Chiang Mai is an independent organisation heavily relying on donations, sponsorships and voluntary work. Volunteer fees allow us to sustain the organisation with all proceeds directly benefiting the School and therefore the children. We do not receive any financial support for the volunteer program, so volunteers must finance themselves. Please see the pricing tables below for a list of detailed fees. You will have to pay the full term fee for the agreed duration of your stay. Please note that “on the fly” extensions of stays are not possible as we develop fixed term schedules to accommodate the needs of the children as well as other volunteer requests. To avoid disappointment you are therefore strongly advised to calculate your total fees on the basis of the maximum possible length of your stay. Your payments will be used to cover the cost for food, lodging, laundry, water, electricity, transport, excursions and some other expenses. The fee does not include your initial transport cost to and from the School like plane tickets or rental vehicles, nor does it cover your insurance costs. A volunteer fee is required to ensure donor funds are used exclusively for the benefit of the children and not for covering administrative or indirect volunteer costs. You do need to budget for a few things on top of this fee such as your flights, health and travel insurance, vaccinations, visas and personal spending money.